If you live in Arizona’s Legislative District 26, you have a very important vote to cast for State Senator this November. Candidate Cheryl Cage is running against the incumbent Al Melvin. 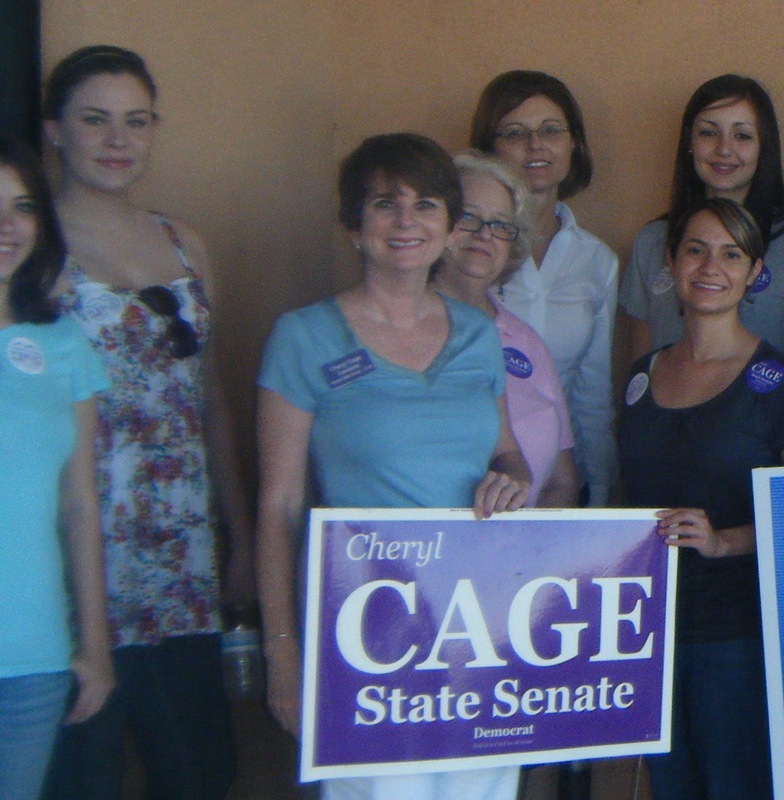 With your vote for Cage you can have a hand in helping ensure the women of Arizona, in conjunction with their families and doctors, will retain the right to make their own health care decisions, rather than having our state legislature make decisions for them. Planned Parenthood Advocates of Arizona has endorsed Cheryl Cage because of her respect for women and her stand on the issues. As a volunteer with Planned Parenthood and a resident in LD 26, I’m very interested in knowing a candidate’s positions on women’s health and reproductive issues, so I asked Cheryl Cage questions about her positions.